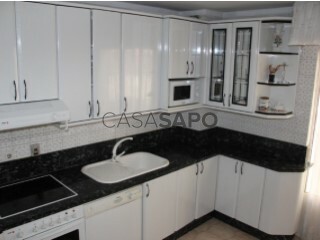 PISO DE 112 m, 4 DORMITORIOS, 2 BAÑOS, SALÓN COMEDOR Y COCINA EQUIPADA. CALEFACCION CENTRAL. DOS TERRAZAS. ASCENSOR. PISO DE 95 m, 4 DORMITORIOS, 1 BAÑO, SALÓN COMEDOR Y COCINA. DESPENSA. TODO EXTERIOR. TERRAZA EN EL SALÓN. ORIENTACIÓN ESTE-OESTE. CALEFACCIÓN INDIVIDUAL DE GAS. NECESITA REFORMA. ASCENSOR. 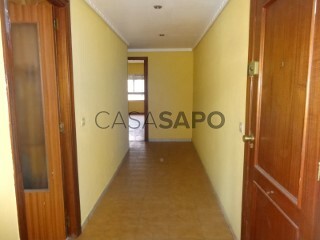 APARTAMENTO DE 45 m, 1 DORMITORIO, 1 BAÑO, SALÓN COMEDOR Y COCINA EQUIPADA. TODO EXTERIOR. ORIENTACIÓN SUR. CALEFACCIÓN CENTRAL DE GASOIL CON CONTADOR INDIVIDUAL. QUEDA AMUEBLADO. PLAZA DE GARAJE. SIN ASCENSOR. 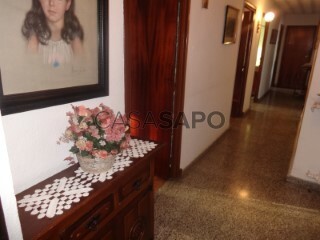 PISO DE 106 m, 4 DORMITORIOS, 2 BAÑOS, SALÓN COMEDOR Y COCINA. CALEFACCION INDIVIDUAL DE GAS. PARA REFORMAR. ASCENSOR, GARAJE Y TRASTERO. PISO DE 80 m, 4 DORMITORIOS, 1 BAÑO, SALÓN COMEDOR Y COCINA. ENGANCHE DE GAS. A LA CALLE DOS ESTANCIAS. TERRAZA EN COCINA. TRASTERO. 165 m, 5 DORMITORIOS, 2 BAÑOS Y ASEO. CALEFACCION INDIVIDUAL DE GAS. ASCENSOR. POSIBILIDAD DE GARAJE EN EDIFICIO SAN AGUSTIN. TECHOS ALTOS. AL LADO DE LA INMACULADA. REFORMAR. PISO DE 90 m, 3 DORMITORIOS, 1 BAÑO, SALÓN COMEDOR Y COCINA. DOS DESPENSAS. CALEFACCIÓN INDIVIDUAL DE GAS. TERRAZA EN SALÓN. ASCENSOR Y TRASTERO. 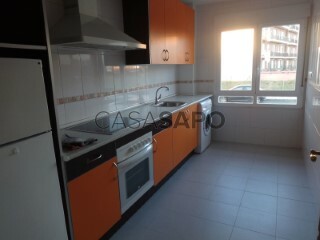 APARTAMENTO ATICO DE 80 m, 2 DORMITORIOS, 1 BAÑO, SALÓN COMEDOR Y COCINA EQUIPADA. REFORMADO. DOS TERRAZAS CERRADAS, UNA DE 25 m. CALEFACCION INDIVIDUAL DE GAS. ORIENTACIÓN O-N-S. QUEDA AMUEBLADO. ASCENSOR. DE 74 m, 3 DORMITORIOS,1 BAÑO, SALÓN COMEDOR Y COCINA EQUIPADA. DOS TERRAZAS, EN COCINA Y DORMITORIO. CALEFACCIÓN INDIVIDUAL DE GAS TODO EXTERIOR. ORIENTACIÓN E-S. UN EMPOTRADO. LOCAL-GARAJE (para 3 coches) Y TRASTERO. APARTAMENTO DE 50 m, 2 DORMITORIOS, 1 BAÑO, SALÓN COMEDOR Y COCINA EQUIPADA. REFORMADO INTEGRALMENTE. CALEFACCIÓN ACUMULADORES. MUY COQUETO. PISO EN EL CRUCERO. PARA REFORMA INTEGRAL. TODO EXTERIOR. SIN ASCENSOR. DOS DORMITORIOS, UN BAÑO, COCINA EQUIPADA Y SALÓN COMEDOR. UNA TERRAZA. CALEFACCIÓN INDIV. DE GAS. TODO EXTERIOR. SUELOS PARQUET Y GRES, VENTANAS ALUMINIO, PUERTAS DE ROBLE, PUERTA DE ENTRADA BLINDADA. UN EMPOTRADO. POCO USO. PISO DE 104 m, 3 DORMITORIOS, 1 BAÑO, SALÓN COMEDOR Y COCINA. DOS TERRAZAS, EN SALÓN Y COCINA. TIENE EL ENGANCHE DE GAS EN LA COCINA. PARA REFORMAR. ASCENSOR Y TRASTERO. DE 62 m, 2 DORMITORIOS, 1 SALÓN COMEDOR Y COCINA EQUIPADA. BUEN ESTADO. EXTERIOR. CALEFACCION INDIVIDUAL DE GASOIL. ASCENSOR, GARAJE Y TRASTERO.